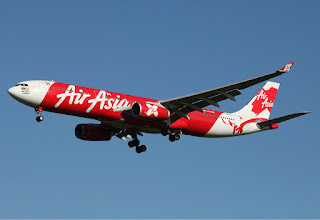 Air Asia X, the long haul arm of the famous Malaysian low cost carrier has officially announced that it will be launching 2 new routes from its primary hub base at Kuala Lumpur airport. 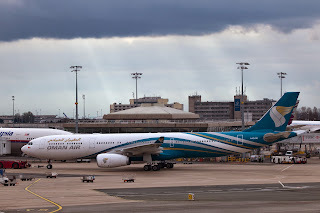 The new destinations are Tehran, Iran and Mauritius each respectively. Air India has officially announced that it will be launching new nonstop flights from Ahmedabad to London Heathrow which shall extend to EWR-Newark effective 15AUG16. This means AI's total flights into EWR will increase from daily to 10 weekly. The new 3 weekly services will be flown using a B787-8 and shall have 5th freedom traffic rights between LHR and EWR too. Oman Air has officially announced that it will be launching new nonstop flights to MAN-Manchester, England effective 01APR17. The schedule has not been announced as yet however it is expected to be an afternoon service similar to its current MCT-FRA-MCT schedule. The main purpose of WY operating into MAN is to tap into the high volume but low yielding traffic potential from the Northern UK to Indian subcontinent, Bangkok and UAE. 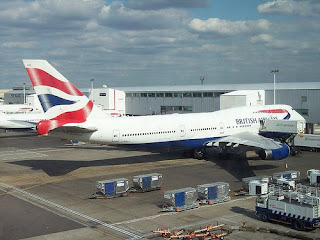 British Airways has disclosed via a media release that it will be launching new nonstop flights to SCL-Santiago, Chile effective 03JAN17. SCL is the primary hub of Lan Chile which is a fellow One World member hence BA is expected to generate a lot of feeder traffic supplied from other offline Latin American points on this new route.